Premium handmade soap. 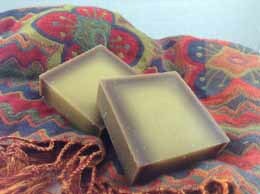 We offer a wide variety of handmade soap bars for your pleasure. We guarantee to find you the most economical shipping. Free shipping for all orders over $80.00. Our handmade soap loaf is the finest you have ever tried or your money back, no questions asked. Our handmade Pumpkin Spice, smells just like a freshly baked pumpkin pie,. On going compliments of the mixture of fragrance and ingredients implemented towards the crafting of this soap, inspires thesoapguy to hurry and get this product into your hands. You will fall in love with it's aroma, as it is very pleasing.